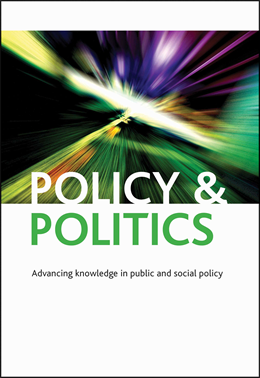 We are delighted to announce that the 2015 Impact Factor for Policy and Politics has risen to 1.2 and the journal is now ranked as one of the top 20 globally in the Public Administration category of the Thomson Reuters Journal Citation Reports. We would like to thank our authors for helping us to remain highly placed, enabling their work to achieve global readership and high citations in the field. Representing the family: how does the state ‘think family’?